My son just started first grade. In the few weeks before school started we received what seemed like countless letters from the school district. In reality, it was probably only three. He received his own letter from his teacher which included an introduction, an adorable letter from a former first grader (whose favorite part was PE, including picture) and a parent survey for me and his dad to fill out. Most of the survey was pretty straightforward. 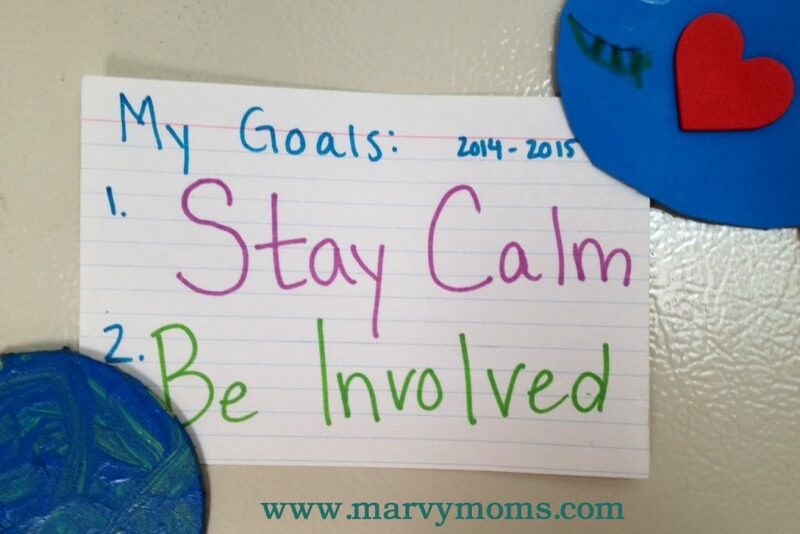 The question that kept me thinking was the one that asked us to list two goals for our child this year. It didn’t take long for us to talk about (with his input) what we were hoping for him to get out of the year. You might be asking, what? That’s it? Yes, that’s it. Goals are supposed to be achievable and realistic, but also something that we want to work towards, and these are mine. My ability to stay calm – to breathe, think, and to then act – makes me more effective as a homework helper, an advocate and his number one supporter. He listens to me better when I remain calm, and I feel better about not losing my cool. It’s also about recognizing that this is just first grade, that there are lots of different ways to learn, and that our world is not going to end if he struggles with certain things or learns at his own pace. Will I fall short sometimes? Absolutely, but it’s something to work towards. Being involved can mean many different things to different parents, especially depending on schedules, availability and interests. For me, this means that I’m involved in the backpack. What’s going on in that folder? What’s going on at school? What can I commit to helping with this year? Am I helping with homework? It’s also about making sure that he knows that I’m invested and care about how it’s going each day. I’m not quite twiddling my thumbs while he’s gone, but it’s definitely an adjustment, and I want him to know that I’m still thinking about him even though he’s away. Being involved is about asking questions and inviting him to tell me about his experiences even though I can’t be there. So those are my goals for the year! Do you have any new goals as your little ones (or big ones!) start the year?